“I want to tan but I want sun protection at the same time!”. Can it be achieved? The answer is yes! Having a lovely summer tan while protecting your skin is possible with these sun lotions availabe in the market. Remember to stay sun smart and tan while protecting your skin at the same time. Most experienced tanners have been using dark tanning oils to achieve golden tans. However, most others might risk getting a sun burn from using oils to tan. So what do you do? There is a misconception that using sun screen with any SPF protection will not give you a tan – Wrong! Using sunscreen will not affect how dark you get, it will just lower your risk of getting burned. Suntanning lotions that come with sunscreen are the best options for a safer tan nowadays. Choose one with SPF4 if you already have darker skin such as Hawaiian Tropic Tanning Lotion Sunscreen SPF4 or SPF30+ for fairer skin which allows gradual tanning such as Piz Buin’s Tan Intensifier Lotion SPF30 High. 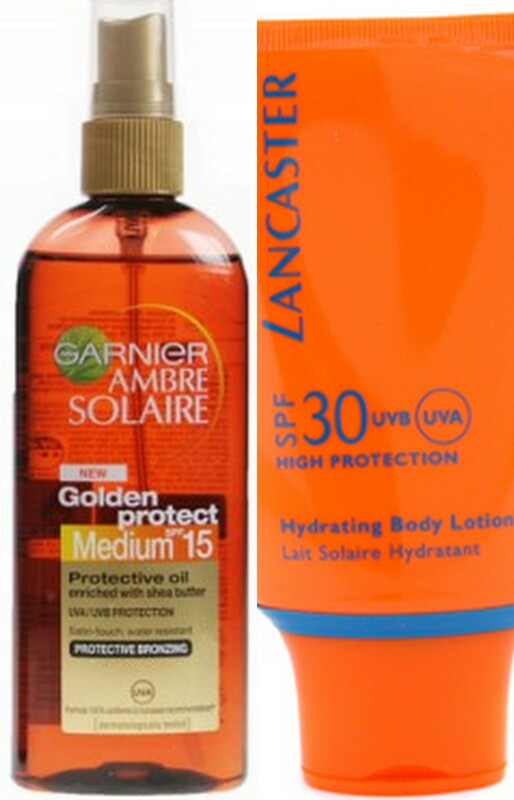 If you still insist on tanning oils, SunStyleFiles strongly advices you to use use one with SPF15 such as Garnier Ambre Solaire, followed by an application of an SPF30 sun lotion like Lancaster Hydrating Body Lotion SPF30 and then reapplying the tanning oil. These steps will ensure that your skin is protected, allowing a gradual tan without getting burnt. Happy Tanning and remember to stay sun smaer and tan while protecting your skin!